Phototherapy is the process of using light as a therapeutic modality. In contrast to photosurgery, phototherapy induces its effect without producing significant heat damage to the target tissue. The light-emitting diode (LED) is a solid state semiconductor chip which emits light when an electric current is applied to it, and LED-based systems represent one type of phototherapy source that has a variety of clinical applications. 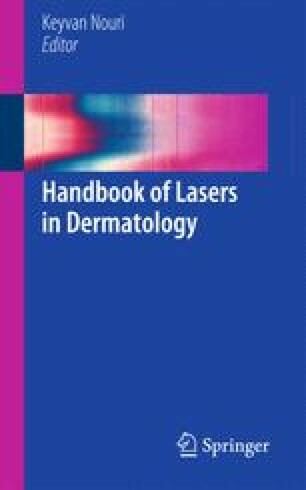 Laser energy entered the arena in 1960 with Maiman’s ruby laser, and attenuated laser beams were used for phototherapeutic purposes as low level laser therapy (LLLT) in the late 1960s, pioneered by the late Endre Mester and colleagues. Light-emitting diodes (LEDs) were then tried as a phototherapeutic source, but were mostly inefficient due to their wide divergence, limited and unstable output powers and a wide waveband which limited target specificity. The advent of the “NASA LED” in 1998 changed this, when Whelan and colleagues developed an LED that was many orders of magnitude more powerful than existing LEDs with a stable output power, and, most importantly, a quasimonochromatic beam. They thus offered an excellent new phototherapy source with biological target-specific wavelengths. The acronym ‘LLLT’ is thus still used, but with the readily available clinically useful LEDs being widely reported in a large variety of indications, LLLT now stands for low level LIGHT therapy so that LED phototherapy is part of the LLLT family. A large body of low level laser therapy literature exists where the systems were either laser diode (LD)-based systems at specific wavelengths or the 633 nm helium:neon (He:Ne) laser. Taking these previously reported data into consideration, phototherapeutic LED-based systems were built based on the same effective wavelengths, but incorporating the inherent advantages of LEDs: namely a very efficient light source; able to be mounted in large planar arrays to treat large areas of the body in a hands-free manner; and comparatively inexpensive compared even with LDs thereby helping to minimize cost to the clinician and patient. This chapter will focus on the photobiological basics behind LED phototherapy and examine the mechanisms which have currently been elucidated, as well as providing some basic studies underlying the success of LED phototherapy in many fields. The potential user, however, should carefully ascertain the specific qualities of any LED system in regard to the true wavelength, active irradiated area and certified irradiance or power density. Furthermore, the user must match the wavelength with the desired target to ensure efficient absorption, because, as the first law of photobiology points out, without absorption there can be no reaction. In conclusion, LED phototherapy at appropriate wavelengths is safe and effective, easy to apply, pain- and side effect-free and well tolerated by patients of all ages.